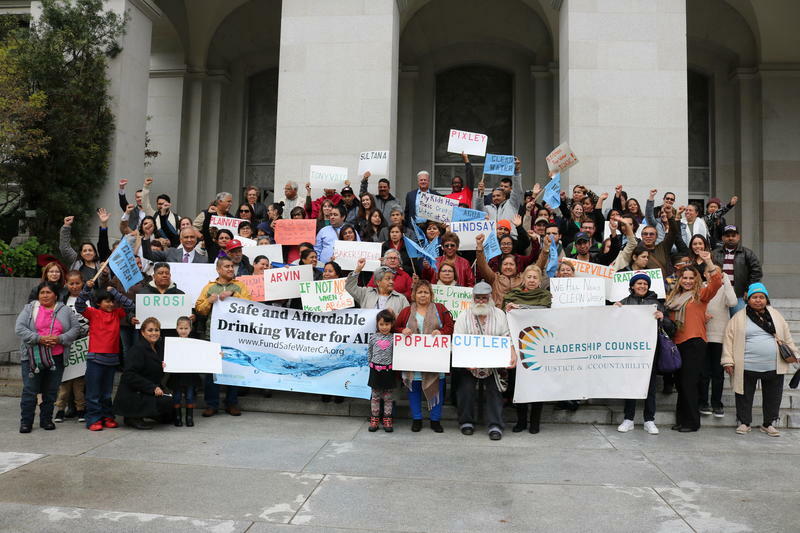 Dozens of San Joaquin Valley residents and safe drinking water advocates spoke at a hearing in Sacramento in support of Senate Bill 623, which also faces opposition across the state and in the Valley. Last Wednesday, over a hundred Valley residents traveled to Sacramento carrying bottles of water. Bottles that were contaminated with bacteria and chemicals—just like the water that comes out of their taps. 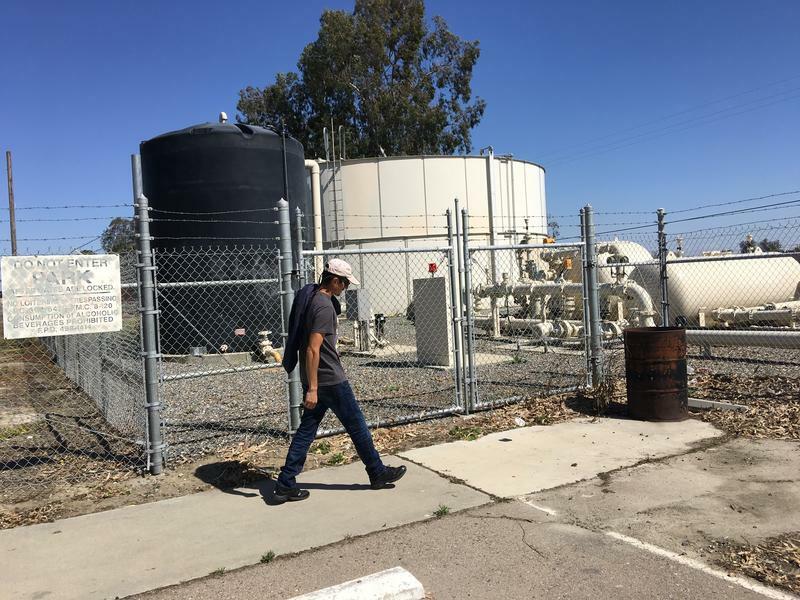 “If you don’t believe us, come and join us, and drink our water,” said Lilia Garcia, a resident of Porterville, whose water is contaminated with uranium and nitrate. “We need a long-term solution, not a Band-Aid,” said Isabel Solorio, who lives in Lanare—a community that’s been trying to rid its drinking water of arsenic for over a decade. 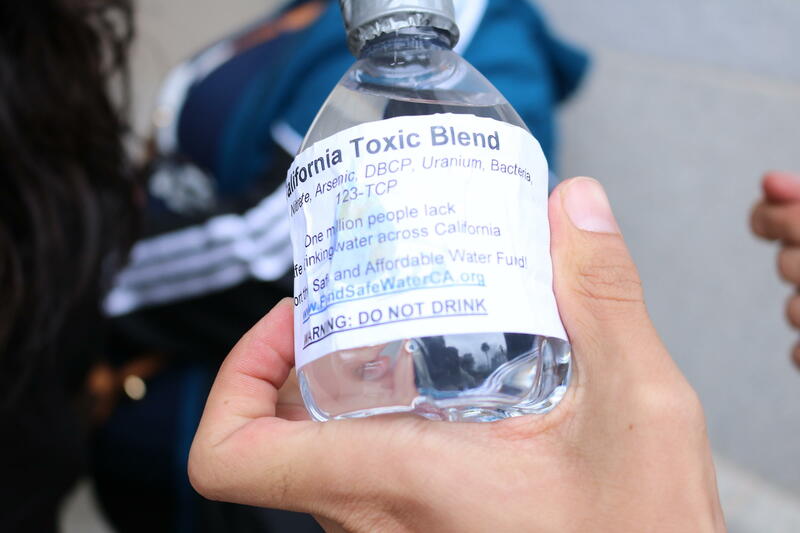 Valley residents brought these water bottles with them to Sacramento and offered them to legislators. Garcia, Solorio, and dozens of residents of communities like Arvin, Tonyville, and Lamont were speaking at a legislative hearing. They voiced their support of Senate Bill 623, which would establish a fund to help communities like theirs obtain safe drinking water. It would make money available for capital costs, like water treatment plant construction, as well as long-term costs for operation—something no other pot of public money currently offers. The bill has some unusual bedfellows: It was co-authored by both republicans and democrats, and it’s received broad support from both growers and environmental groups. But at the same Assembly subcommittee hearing where Garcia and Solorio supported the bill, many groups spoke out against it. The reason: The fund would come from a statewide tax on water bills, as well as fees on some growers. The city of Fresno wasn’t alone. There was also the California Municipal Utilities Association, which represents water districts serving 70 percent of the state. “We very much support the intent of this budget change proposal and the trailer bill but we oppose a water tax as being part of the funding package,” said Danielle Blass, an association spokesperson. 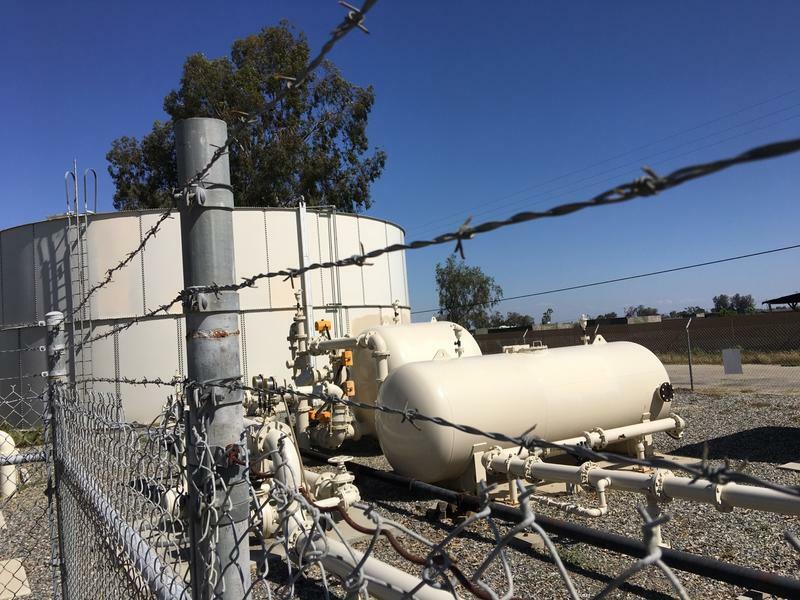 The Association of California Water Agencies, the League of California Cities, and a variety of municipal water districts also voiced their concerns about the bill. Jonathan Nelson of the Community Water Center, a non-profit that’s working to pass the bill, said opposition at the hearing didn’t surprise him. The bill has some unusual bedfellows: It was co-authored by both republicans and democrats, and it's received broad support from both growers and environmental groups. But, he says, the fact that Fresno would oppose the bill is disappointing, given its proximity to so many of the communities struggling to access safe drinking water—especially since the bill has support from many Valley growers, as well as nearby Tulare County, the city of Porterville and the mayor of Arvin. “If you are in the Central Valley, it seems to me that we have an extra special obligation to make sure that we’re joining hands together to ensure that all of our fellow Californians that live, reside, and work in the Valley can have access to safe drinking water,” Nelson said. The main concern of opponents is a tax on every water user’s water bill that would be capped at 95 cents per month. Nelson said that proposal was not made lightly and is the result of years of discussions. Other alternatives exist, but for one reason or another aren’t feasible. The money could come out of the state’s general fund, but it’d be competing against other important programs like education and health and human services. There’s also the “polluter pays” model, whereby a polluting business would pay to mitigate its impacts—but not all contamination has a clear man-made cause. Lawmakers took no action on SB 623 last week. They have until the end of August to move on it, though Nelson hopes they act by the state’s budget deadline in mid-June.